Tea was discovered in China more than 5,000 years ago and is the most revered beverage in the world. All teas come from the Camillia Sinensis bush. The way the tea leaves are processed makes the distinctive varieties. Tisanes or herbal teas are brewed like tea; yet, come from mixtures of botanicals rather than the tea bush. Below is a summary of popular tea types. 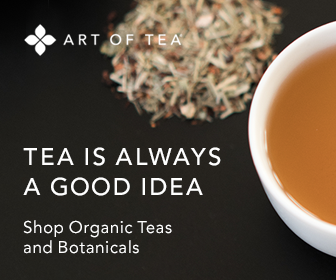 Green tea is a delicate, pale brew that features a light, fresh taste and aroma. Refreshing served either hot or cold, some varieties are described as slightly sweet or grassy in tone; while others surprise the palette with tempting smokey characteristics. Green tea is made from the same tea plant, Camellia Sinensis, as black and oolong varieties. It undergoes minimal processing and slow drying to maintain the leaves' natural oils and antioxidant properties, as well as give the tea its subtle, enticing flavor. Green tea is recognized for promoting wellness. Black tea is the most widely consumed in the world. Enjoyed both hot and over ice, this rich, flavorful beverage features a deep reddish-brown hue and full-bodied taste that ranges from flowery and fruity to spicy and nutty. Black tea's qualities result from extensive processing compared to other teas. After harvesting, the tea leaves are dried on racks until they become supple. They are then rolled and cooled, which enables the natural juices to emerge – and the leaves to darken. Finally, heat is applied to the tea leaves to stop further oxidation and seal in the flavor and aroma. Oolong tea, also referred to as wu-long, is a fragrant brew that features a blend of green and black tea characteristics. This medium-bodied tea is a mix of the fresh, mellow taste qualities of green teas and the rich aroma of black teas. Oolong tea is semi-fermented or semi-oxidized. While black tea undergoes extensive fermentation, and green tea minimal withering and oxidation, the processing for oolong falls in between these two varieties. Studies suggest that oolong tea's antioxidant properties support wellness, facilitate weight loss, and protect against signs of aging. White tea is a pale brew that tastes delicate and sweet, with little or no grassy taste that is sometimes noted in green and black varieties. Young tea leaves from the Camellia Sinensis plant are carefully plucked before the buds have fully opened. The buds are covered with silver fuzz that turns white when they are steamed and dried, which is how some say white tea got its name. Rather than being air-dried, white tea leaves undergo less processing and are steamed. This process keeps the leaves closer to their natural state and increases the tea's polyphenols that are known to promote health. Chai is an aromatic, velvety spiced tea that originated in India centuries ago and has grown in popularity throughout the world. Chai is the word for tea in many parts of the world. Delicious and satisfying, masala chai is typically made with rich black tea (and other tea types including green tea or rooibos), a mélange of freshly ground spices, fresh milk, and honey or sugar to taste. Rooibos tea, also known as redbush or red tea, is made from an herb that is grown in the South African highlands. Rooibos features a distinctive red hue, and a sweet and slightly nutty taste. It is prized for its great flavor and wellness benefits derived from the infusion's antioxidants, minerals and vitamins. Fruit and herbal infusions, also called tisanes, look like tea and are brewed like various tea types. Yet, they are not derived from the Camellia Sinensis plant from which black, oolong, green and white teas are made. Tisanes are made from special mixtures of fruits, dried leaves, flowers, herbs, or other botanicals that give them their delicious flavor and reported health benefits. Making blooming tea is an art form that is created by hand-sewing quality tea and flowers together in a predetermined way to create a tea bundle or ball. When immersed in a glass teapot or clear vessel filled with properly heated water, the bundle slowly unfurls and transforms into floral artistry. Then, the tea is ready to be served and enjoyed. Blooming teas come in many formations and colors. The bundles make wonderful gifts for any occasion and are a visual treat when entertaining.